When I joined Chelsea & Fulham H.O.G. in 2008, I realised that this chapter was special. Special in the way it’s run and special because of its members. 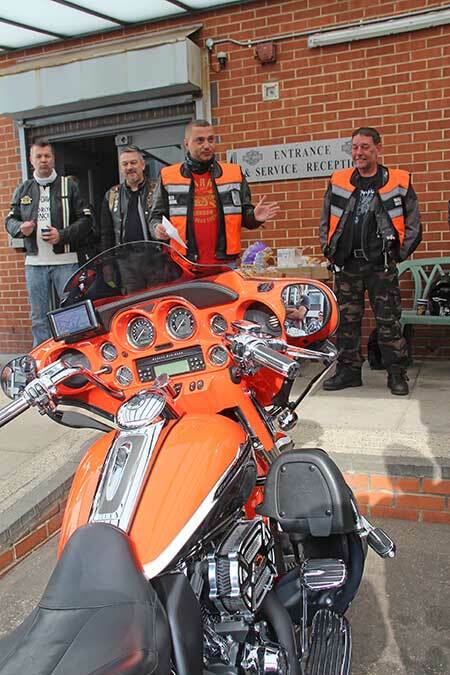 I did anything and everything I could to take part in ride outs, events and chapter meetings and I was rewarded last year by becoming a Road Captain for C&F and I thought how hard could it be? After all Terry Ferguson has been a Road Captain! 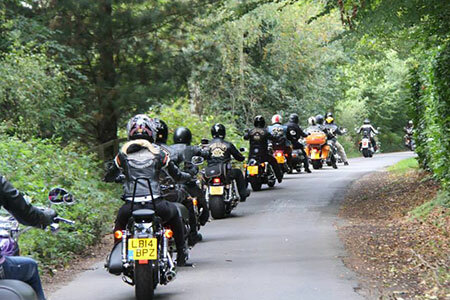 After a couple of failed attempts and some help and advice from more experienced ride planners The Royal Standard ride out took place on 14th September. We met at Warr’s Kings Rd at 9am and I have to admit I was a bit stressed as I didn’t want my first ride to go wrong. After a croissant and some coffee the worries disappeared as plenty of old friends showed up and had encouraging words. We started our day with the usual morning brief and headed towards the M4 where we came off at J5 for Datchet, rode past Eton School and over some lovely bridges across the Thames. The ride took us into the Chilterns and we stopped for a quick coffee break at our first Royal Standard pub, in Wooburn Common. We continued our ride through some beautiful tree lined roads and rode up and down the Chiltern Hills which gave us a taste of a couple of hairpin bends. The ride ended at The Royal Standard pub in Forty Green which is known to be the oldest free house in England, dating back to Saxon times. After our Saxonish lunch it was an easy short ride back into London. The day went very smoothly - it wasn’t just my careful planning but because of all the other Road Captains who attended and helped out. Thanks to Mick Newstead who took on last man duties again, he should have bought a different coloured bike! And a big thanks to all the other Chapter officers who took on marshalling duties; John Warr, Colin Houliston, Rob Warr, Andrew Papas, Nick Deal, Richard Beake and Les Channing. Yep, they all decided to come on my first ride out! Also big thanks to Gary France who helped greatly in planning and Sat Nav technology, and Manuela De Castro for the usual stunning pictures. Finally it wouldn’t have been such a successful day if it wasn’t for all who attended. See you all on the next ride, I hear Les wants to compete for the title of best ride this year. Photographs by: Chelsea & Fulham’s Photographer Manuela De Castro & Steve Graham.